The pressure will be on DJR Team Penske at the next V8 Supercars event in Perth, with big boss Roger Penske to attend the meeting at Barbagallo Raceway. 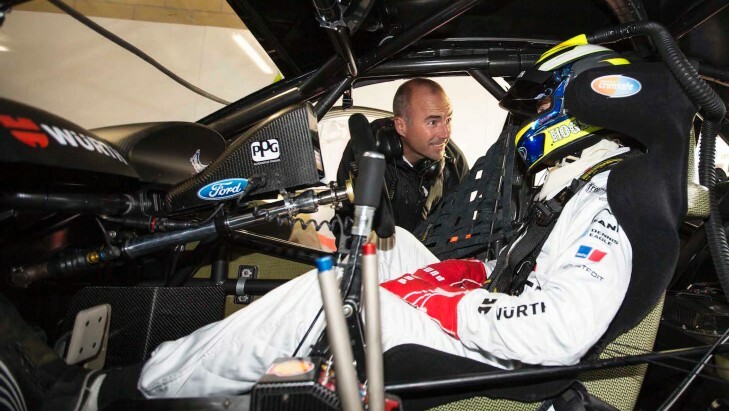 The team has elected to use its single 2015 test day tomorrow at Queensland Raceway, attempting to improve its Ford Falcon FG X after finding its performance below par at the first two Championship events. While the run may be Marcos Ambrose's first time back behind the wheel after stepping back from being the team's lead driver, tomorrow will be about young gun Scott Pye working through the team's ambitious testing program. The team has chosen not to nominate Ambrose as an additional driver for the Perth event (allowed under the rules for 2015, to give teams further practice time for primary and co-drivers), despite time behind the wheel being a major catalyst for stepping away from full-time driving duties. The co-driver sessions at all SuperSprint events effectively form around the same amount of time behind the wheel that was allowed in out-of-event track testing time in 2014. "I might drive at the very end of the day [tomorrow] but it's Scott Pye's test," Ambrose told the Gold Coast Bulletin. "Scott will drive the car in Perth so this test is for him. I'm not planning to drive. "We've got a big weekend coming with Roger coming to Perth." 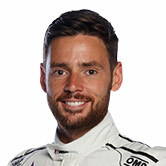 Ambrose elected to step back as the lead driver for the #17 in order to allow Pye - who is more experienced with the new generation V8 Supercar - time behind the wheel, so he could help assess the changes and improvements the team had to make. The opportunity is all-round a great one for the 25-year old, who lost out on a full-time drive this season when the DJR team merged with Penske and reduced to a single car entry. He's not just getting the chance to race and be a key part of the team, but is learning plenty from Ambrose as well. Pye said having the two-time champ on hand in Tasmania was a huge benefit, improving his communication with the engineering squad and helping unearth essential details. Since the Symmons Plains event - where Pye finished all three races in the low teens - the team has decided to transform the FG X so it is more like the Prodrive Racing Falcons, which all featured in the top 10 over the Tasmania weekend. DJR Team Penske has a technical alliance with PRA, allowing them access to data, and testing PRA componentry will be a key part of tomorrow's test. For Ambrose, he's not worried about his own plans - he just wants to see improvement from the team, before he hits the racetrack again. "I stood aside because I'm still quite a rookie in the series and don't want to hold them back," Ambrose said. The Falcon will run with MTU colours in Perth - the first time the V8 Supercar will represent a Penske-affiliated company. Tickets are still available for the Perth SuperSprint, running from May 1-3 at Barbagallo Raceway - click here for details.